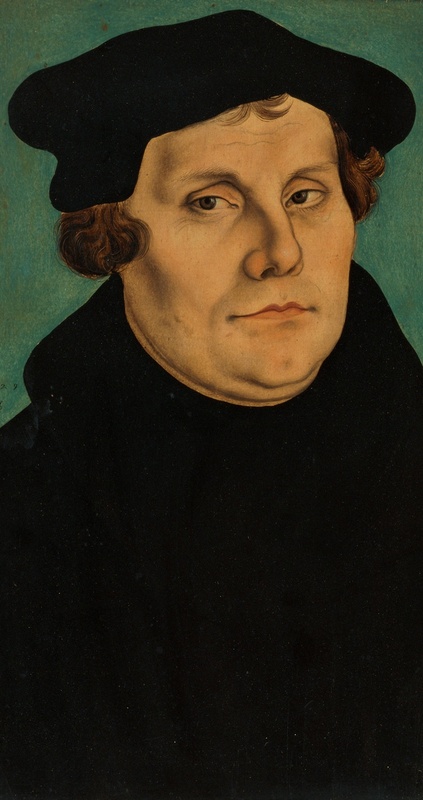 Martin Luther , leader of the German Reformation, was a gifted tenor, flutist, lutenist, poet, and composer. 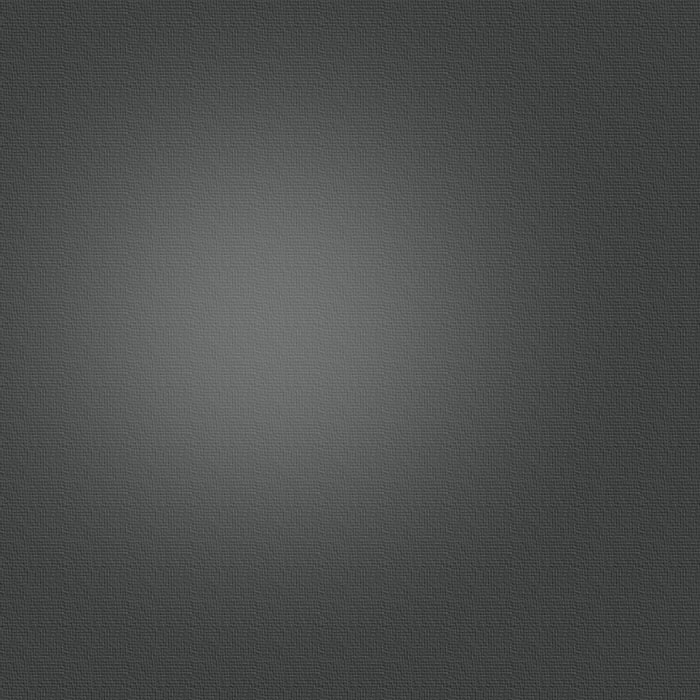 Whether you wish to comfort the sad, to terrify the happy, to encourage the despairing, to humble the proud, to calm the passionate, or to appease those full of hate — and who could number all these masters of the human heart, namely, the emotions, inclinations, and affections that impel men to evil or good?—what more effective means than music could you find? This belief in the positive emotive quality of music was not to be restricted to the secular sphere. 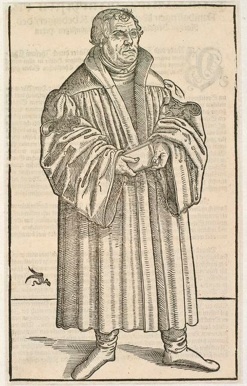 Luther felt that church music could and should move the emotions, as well. 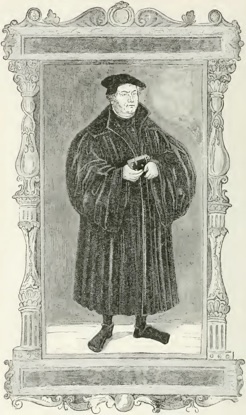 When presented with some choral canons by the composer Lukas Edemberger, Luther commented that “they were neither enjoyable nor pleasing because the composer seemed more interested in writing counterpoint than writing interesting music. 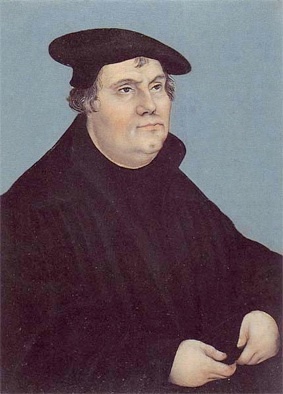 ‘He has enough of art and skill, [Luther said,] but is lacking in warmth. 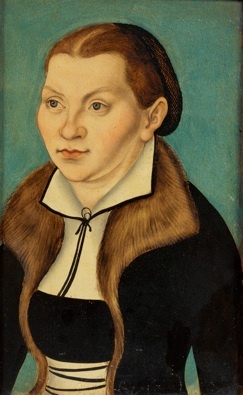 Katharina lived as a nun for the following eight years, but as an intelligent woman and deep thinker, she could not ignore the news of Dr. Martin Luther and his campaign to reform the wayward teaching and practices of the Church. 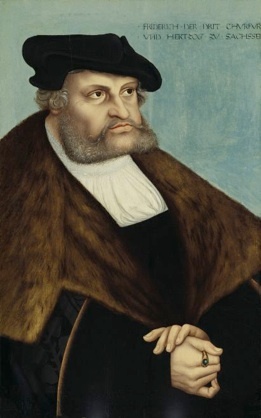 Frederick the Wise of Saxony appointed Luther and his colleague Philipp Melanchthon to the University of Wittenberg and refused to carry out a papal bull against Luther in 1520. 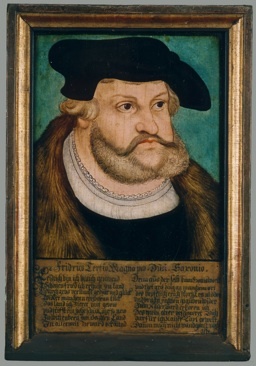 After the ban was imposed on Luther the next year, Frederick welcomed him to the Wartburg, where Luther translated the Bible into German. 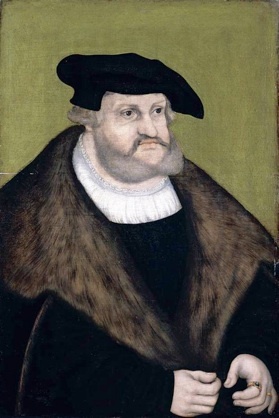 Frederick the Wise of Saxony was an uncle of Anne of Saxony, who married William of Orange. 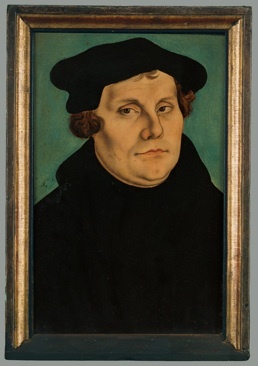 He played quite an important part in the life of Martin Luther. 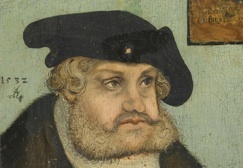 After Luther had nailed his seventeen theses to the doors of the Wittenberg church, Frederick had him kidnapped, and kept him in his castle in order to prevent the Catholics from getting to him. 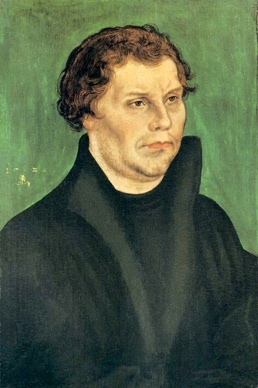 While he was in hiding, Luther produced the first German translation of the Bible. Mein hertz hat sich mit lieb verpflicht. 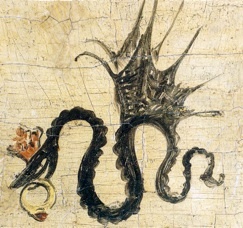 ALONSO MUDARRA (1546): Fantasia No.10 "Que contrahaze la harpa en la manero de Ludovico"
Cranach usually signed his works with a black winged serpent holding a ruby ring in its jaws and wearing a crown. There are various different versions of the serpent. 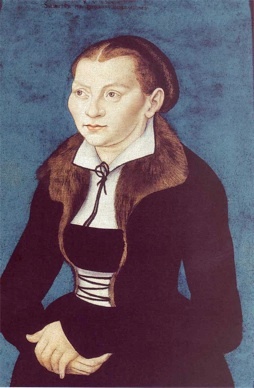 Cranach changed it around—especially when he signed printed artworks. 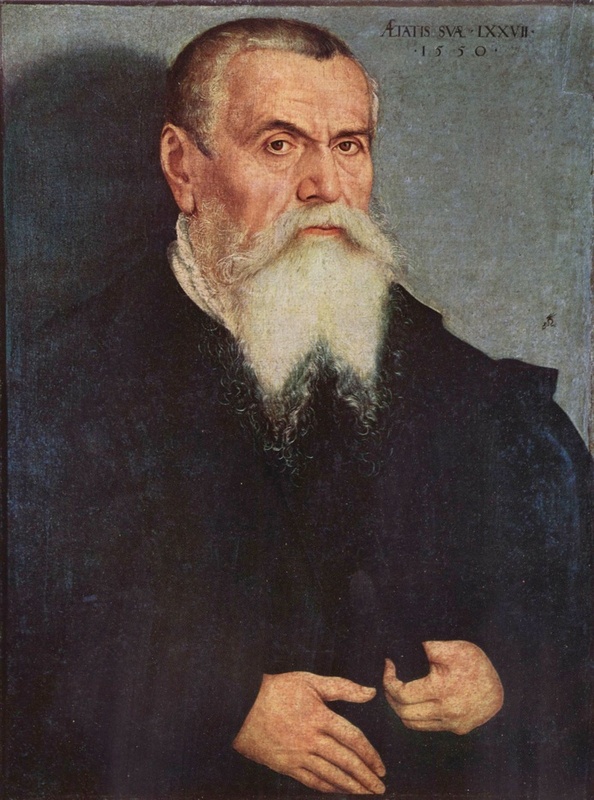 Elector Frederick the Wise granted the winged serpent with a crown and ruby ring to Cranach as a coat of arms on January 6th, 1508, but nobody is sure what it means. 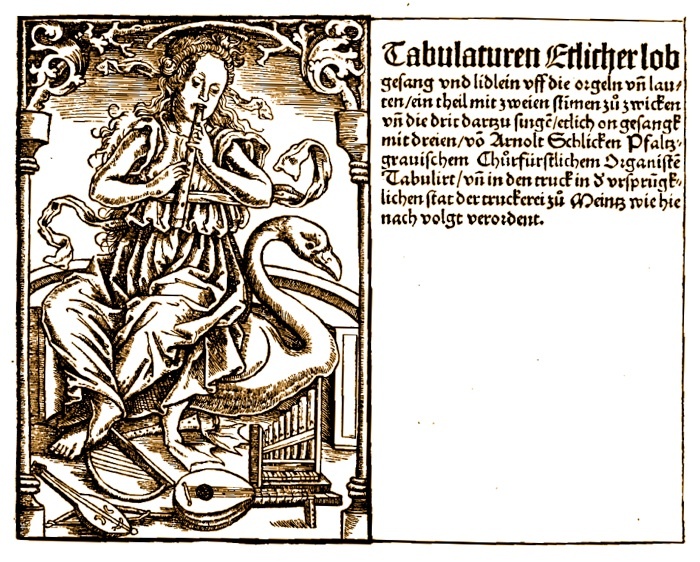 Some art historians have speculated that it is an astrological or alchemical symbol. 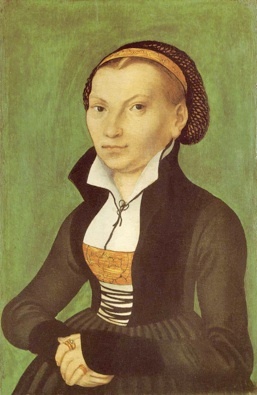 Others believe it may be a lost pun concerning some aspect of Cranach’s name or have some allegorical meaning too subtle to fathom. 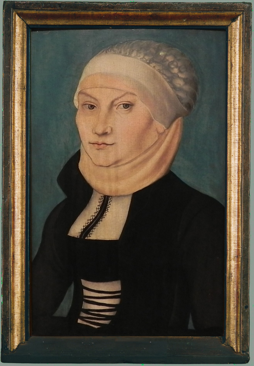 The actual explanation seems lost in mystery (which is probably how Cranach would like it).